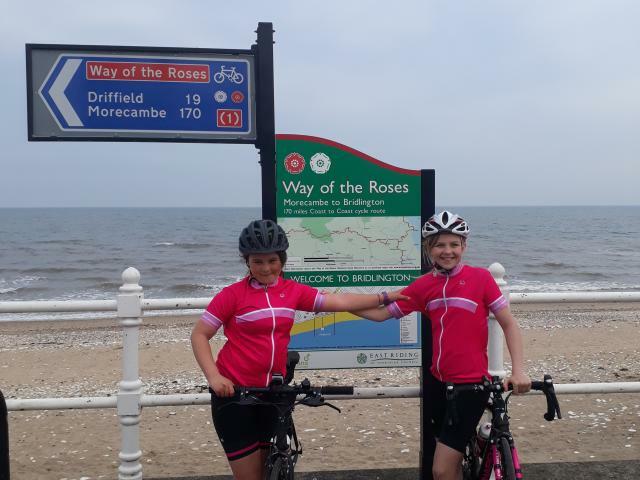 On May 19th myself Lucy, my daughter Sydney age 10, my friend Ruth and her daughter aged 11 started the Way Of The Roses. 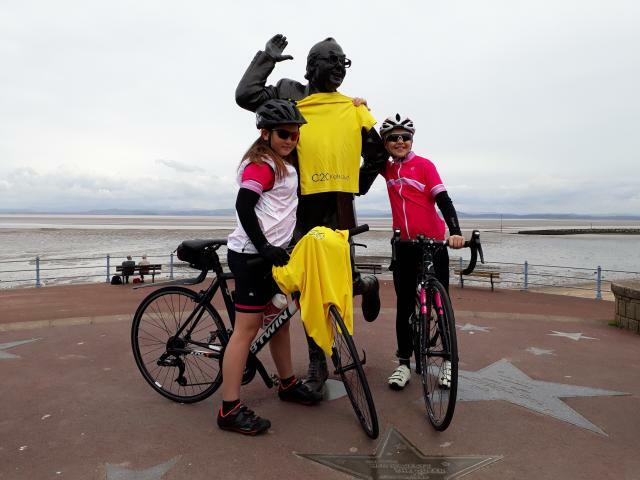 We were going to try and complete it over 3 days, but after our trial runs we decided it was going to be far too much for the girls so then planned it for 4 days. The first day we didn't set off until 1pm the girls were in high spirits and the weather was kind to us, then we hit all the hills!! They were hard very hard. My friend Ruth is a very experienced cyclist so I knew we were in good hands. We did a lot of map reading but the signs for the route were brilliant too. As me and my daughter weren't as experienced we did have to walk up most hills. We arrived at 8pm in Airton which was a stunning village and stayed in a Quaker hostel which was great, it had everything we needed and we weren't up to much that night anyway!! The second day we set off at 9am for the second lot of hills! The morning was ok weather wise but in the afternoon the rain appeared which is when it went downhill as Sydney was then shattered and now wet and cold. We then got a bit lost and more hills and very steep ones. The roads also got busier as near Pateley Bridge they were main roads which was a bit hairy with the girls. Once the rain stopped and we got off the main roads we then had to find a pub!! We finally stopped off at the Best Western in Boroughbridge which was just what we needed, comfy beds with radiators to dry our clothes. The third day we set off at 10am as we knew we had an easy day as we only had to do 30 odd miles so we had some time to look round York. We then headed to our camping pod in Holtby, York cycle stop. We loved it, the landscape was pristine and the bike sheds were very secure. It was so peaceful and the pods were brilliant the girls loved it and even stopped in one together. I would highly recommend them. It's also only slightly off the route. The final day we set off early as we had 60 miles to do to the end. The route was mainly flat with stunning views. I couldn't believe how quiet the roads were. My husband was waiting at the end for us so we were very excited to see him as we were slightly exhausted. Cycling into Bridlington was a little hairy as we had to deal with busy roads again, then we saw the sea and promenade. 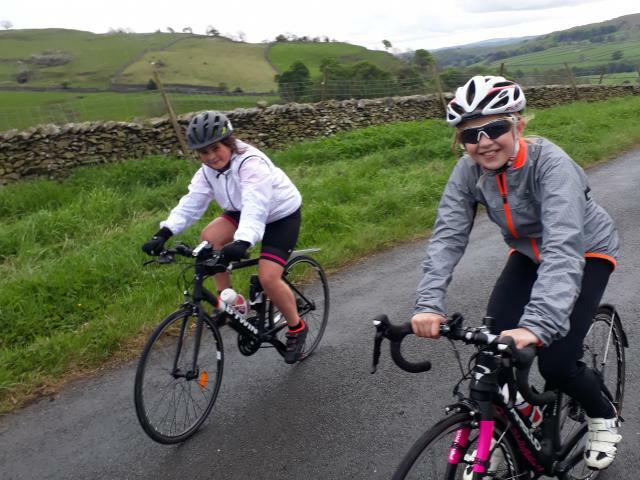 So after 60 miles the girls decided to have a race to the end which was very emotional to see. I just couldn't believe we had done it and the 2 girls had done it all with such high spirits. I'm just so glad we did it over 4 days as it wouldn't have been enjoyable in less days. It really did stretch me and Sydney, but it was one of the best things we've ever done. We couldn't have done it on our own I'm just very greatful to my friend Ruth who was the pro. ← Signage Not Always Up to Scratch!! !